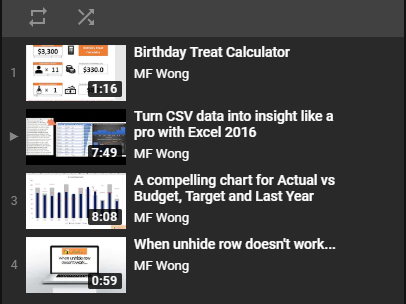 Want to work like an Excel Pro? 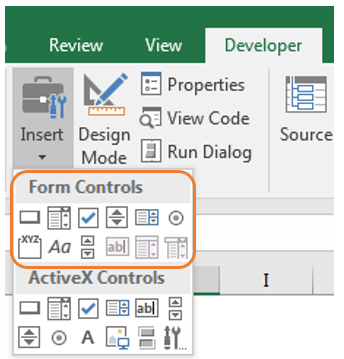 Learn more about Form Controls. 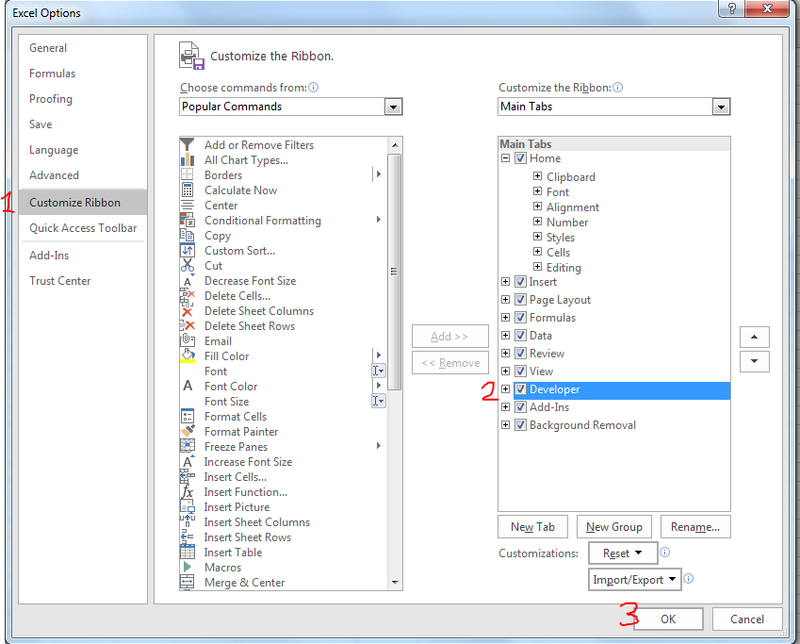 Indeed, it is easy to insert Form Controls and use them to interact with data on worksheet. First, you have to add the Developer Tab. Please don’t be afraid of the word “Developer”. You don’t need to know a single line of code in order to use Form Controls. Check the “Develop” and OK. Then, you should see the Developer Tab on your ribbon. There are 9 Form Controls you can select from. The final three are inactive and they are for Excel version 5.0 dialog sheets only. You may find the official descriptions HERE so I am not going to repeat them. I believe it you may be more interested in learning about HOW to use these From Controls to interact with your data. 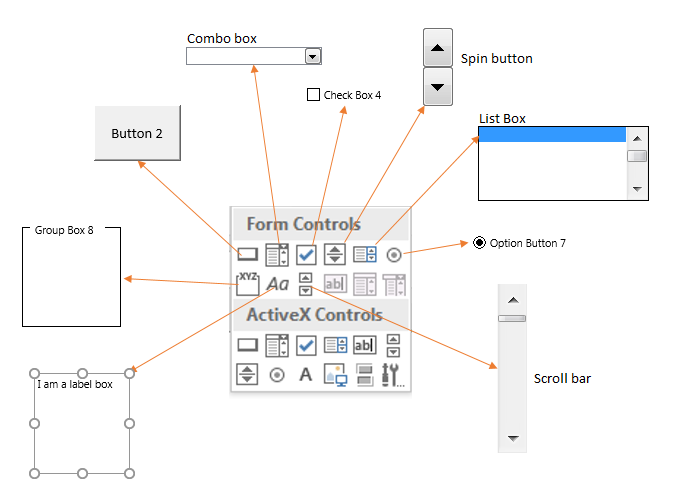 Just select the Form Control you need; then move your cursor to where you want to insert, click on it. As simple as that. Note: You may edit the size by drag and drop; or edit the text anytime you want. How to make Form Controls Interactive? 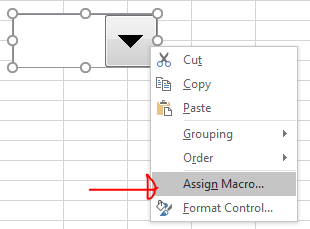 Basically you can Assign Macro to any of the Form Controls. 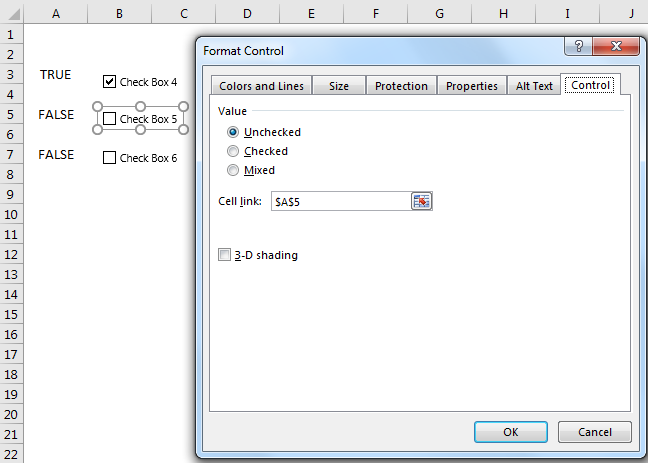 Nevertheless, the benefits of using Form Controls is to interact with cell data without VBA. And this is the focus of the post. 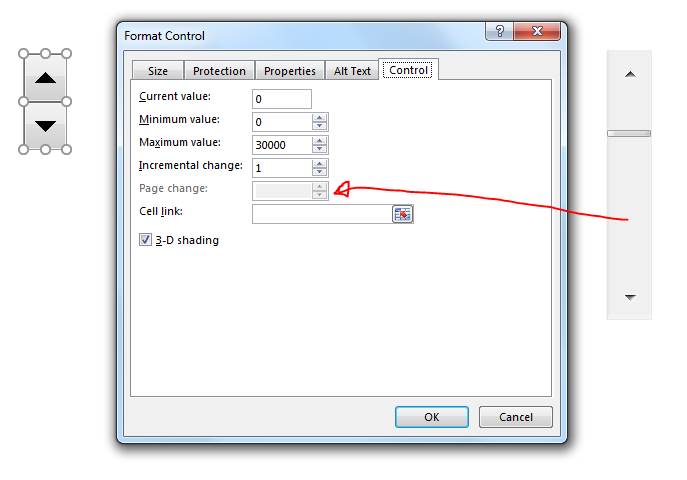 Note: Make sure you are on the “Control” tab in the Format Control dialogue box. However, you won’t find “Control” tab for Button and Label. How they interact with the cell linked? How it interacts with the cell linked? It simply returns TRUE or FALSE. It returns an index number according to the order you placed the Option buttons; even the newly added Option button. They have more controls. You need to set Min and Max Value, as well as Incremental change. How they interacts with the cell linked? They return a whole number in the range of the Max and Min value set. Meanwhile, below are some posts with examples using Form Controls. Well, I have no idea why and when I need to use “Label”. Why not just use Text Box? 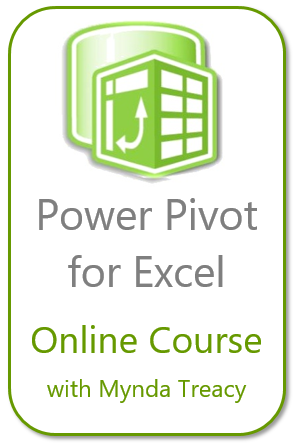 This entry was posted in Excel Tips and tagged Form Controls. Bookmark the permalink. Hey mate this is very nice!, woud you mind sharing the file from the first picture? Like how do you highlight the bars on focus ? (on the right side chart). Hope to hear from ya!